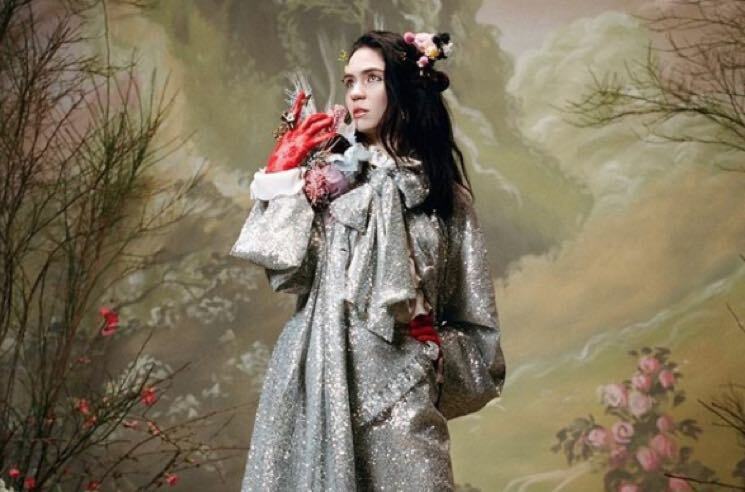 Grimes Says She's Legally Changing Her Name to "c"
Unpredictable pop star Grimes has been making headlines for all kinds of reasons lately. From teasing her next LP to stepping out with Elon Musk, she simply can't be contained. Up next, Grimes has revealed that she plans to change her legal name. In a string of tweets, the artist born Claire Boucher has revealed plans to legally shorten her first name to simply "c."
The italicized, lower-case name is not just intended to upset copy editors the world over. It's also a reference to the symbol used to indicate the speed of light. Of course, that meddling Musk had something to do with it. Boucher revealed that he was the one who pointed out c would work as a first name. Read the string of relevant tweets below.